Coming off the awesome Avenger: Age of Ultron, we have to remember Marvel Studios is always moving onwards with new stuff. From series renewals to movie castings and plot details, there’s a TON to sort through. 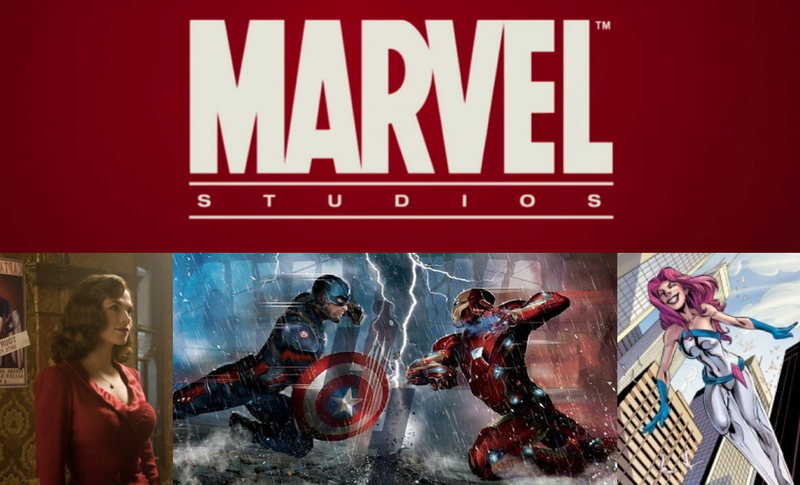 So here’s everything you need to know about the state of Marvel Studios and their upcoming projects – the largest of which will be Captain America: Civil War. While Marvel’s Agents of S.H.I.E.L.D. is set to hold its 2-Hour Season 2 Finale this Tuesday, we’re already getting news that it has been renewed for a 3rd Season. Considering how the show has picked up as of late and is dealing with Inhumans and all the upcoming world drama which will impact Civil War, this renewal should come as no surprise. The real surprise – or rather celebration – comes with the news that Agent Carter has been picked up for another season. The period piece that followed “Cap’s Best Gal” Peggy Carter will have another Season, which will once again probably serve as a Winter Hiatus show for Agents of S.H.I.E.L.D. Not much else is known about this news, but considering the first Season dealt with the months prior to the One-Shot where Peggy was asked to found S.H.I.E.L.D., I’m willing to bet the setting for Season 2 will be the 50s, with Peggy Carter setting up S.H.I.E.L.D. As a decade-per-season- show, this could fill in a lot of backstory for the MCU by showing a younger Hank Pym and even Nick Fury eventually. Though the news of Agent Carter’s renewal also comes with the news that the previously planned Agents of S.H.I.E.L.D. Spin-Off focusing on Bobbie and Hunter is canceled. Honestly though, this is a very smart movie. While these two are spectacular character, they’re spectacular SUPPPORTING characters. There’s not enough to make a good series with just them. Additionally, considering Agents of S.H.I.E.L.D. already serves as a Spin-Off niche of the larger MCU, having a Spin-Off or a Spin-Off might just be TOO niche. Agents of S.H.I.E.L.D. occupies the spaces between MCU movies, and trying to cram something in between those spaces would just be too much risk and not enough reward. Though there are other ways Marvel Studios is expanding it’s current day series, and that brings us to their Netflix plans. In Netflix news, after a SPECTACULAR first season, Daredevil has secured itself a Season 2. Though considering how incredibly Season 1 Set Up For a Second Season as well as the rest of the Defenders universe, it should come as no surprise. 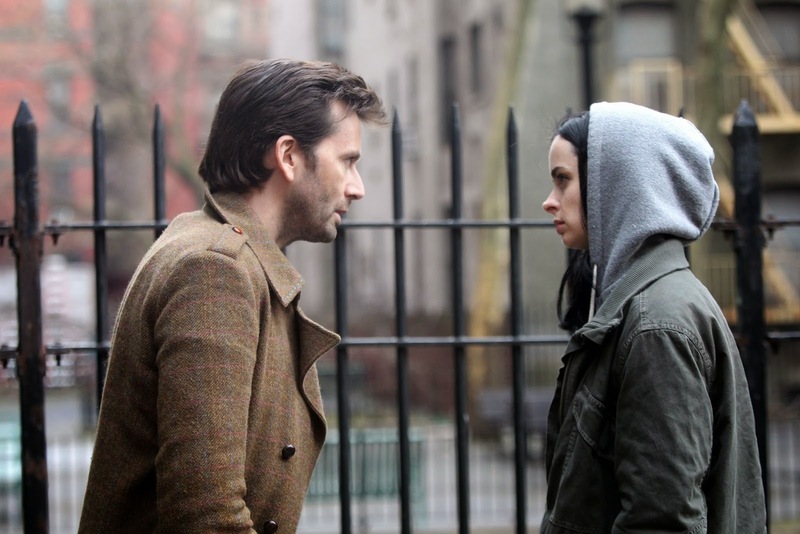 Though before Season 2, Ironfist or The Defenders can air, AKA Jessica Jones is next up on the series list. Filming is still going well and we’re even getting some new shots of Jessica coming face to face with the villainous Kilgrave (aka the Purple Man). During our last Marvel Studios News, we looked at what this villain could mean for the series, and judging from the plot description and casting, we were pretty spot on. Also, the series will set up for the 3rd Netflix Series Luke Cage, who will be Jessica’s romantic interest on the show. When Civil War was first announced, some fans complained that there weren’t enough characters to properly pull of this story in the cinematic universe. Well the cast for Captain America: Civil War was just released, and everyone can calm the hell down because we’ve got the biggest assortment of heroes and villains ever! Though it wasn’t just the cast that was unveiled, but also the plot. So let’s take a look at the Official Plot Synopsis and then look at what each casting means for the film. Since he’s the new head of the team, you can be sure that the entire new Avengers roster will be joining Captain America during Civil War. Now whether the team will stay united with Cap through the events or fracture up even more remains to be seen. Though I’m willing to bet Rhodey will side with Tony. Falcon will of course stick with Cap, and I’m willing to bet Vision and Scarlet Witch will stick with Cap as well – considering Scarlet Witch’s history with the Stark name. Though the Avengers team might be getting some more additions by time the film is over. Between the Winter Soldier post credits and subtle nod to Cap and Falcon’s continues search, we knew Buck (aka The Winter Soldier) would return for Captain America: Civil War. As we learned in Steve Roger’s ‘fear vision’ during Age of Ultron, we see how he can’t let the battle end because he doesn’t have a home to go to. This film could certainly show signs of Cap starting to get a home – as I’ll discuss in a bit – but Steve is still a man out of time. Bucky isn’t just his best friend but also the only person who could understand what it feels like. As for Bucky himself, we have already gotten signs that his memories are starting to return to him. This could all lead to a very happy ending for these two friends; but would it be at the cost of another friendship? With Covil War basically being Captain America vs Tony Stark, you know Robert Downey Jr would be a part of this film. When we last saw him in Avengers, he seemed to be hanging up his suit – again. So what would make this former friend and teammate turn again Steve Rogers? Well we’ve seen these two in heated arguments before; but their closeness has also been just as prominent a factor. We even hear a joke about them ‘staring lovely in each other’s eyes’ towards the end of Age of Ultron. So what is it that finally causes the break? Well as we learned in the Plot Synopsis, there’s another international incident that raises the question of control. Despite Tony’s retirement, he’d probably be on the side of the Avengers early on; but certain key factors could start to turn this. For starters, Tony’s always been jealous about Cap’s relationship with his dad – we saw that all the way back in The Avengers when Tony called him “The guy my father wouldn’t shut up about”. Though it won’t just be jealousy that tears these two apart, but rather revenge that could be the spark needed. Remember, in The Winter Soldier it was hinted that the Winter Soldier was the man responsible for killing Tony’s parents. Of course Bucky was being controlled, but Tony might not care about that – after all he doesn’t know Bucky at all. If Tony learned of this cover-up, he would want Cap to turn Bucky over to face trial. 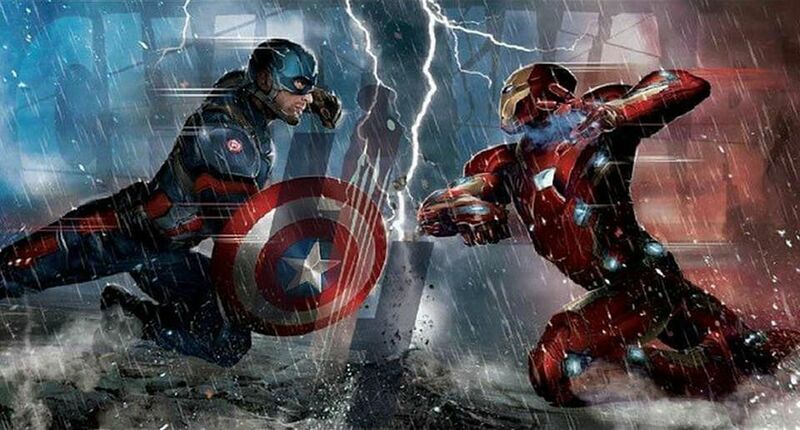 This quarrel could escalate and make Tony no longer care about working with Cap’s new Avengers. Peaceful conversation would break down and the civil war would begin, which could play perfectly into another character’s plans. Daniel Brühl – Baron Zemo? Even though Marvel hasn’t CONFIRMED it yet, Daniel Brühl has basically confirmed that he’ll be playing the villainous Baron Zemo. Now it’s unclear how Marvel will set up the Zemo story; but I’m willing to be that he’ll be the one pulling the strings behind the scenes. Perhaps Zemo causes that ‘incident’ that kicks off the discussion. Maybe he’s the one who reveals to Tony Stark that the Winter Soldier killed Stark’s parents. Either way he’s definitely the mastermind of the film, and he’s already got an ally with a definite score to settle with Captain America and Falcon. As we predicted when Captain America: The Winter Soldier first came out, Brock Rumlow would return as the famed assassin Crossbones. Whether he’ll just be a Zemo lackie or actually take on the full extent of his character – and be the one to take down Captain America – remains to be seen. Either way, him and Chris Evans are having quite the spirited Twitter war about the roles. During Age of Ultron, we saw how the computer guy who stood up to Hydra and refused to launch the Hellicarriers was now one of Fury’s trusted Hellicarrier operatives. Well in similar fashion, Agent 13 – better known as Sharon Carter – will be returning this time around as well. Considering how she was trusted by Fury and is Peggy’s niece, this was also a given. Will this film see her get romantically involved with Captain America or will she follow the Civil War storyline of getting brainwashed. It could be both, but we’ll still have to wait and see. Considering he basically retired after Avengers: Age of Ultron, Hawkeye might just be a supportive role – someone to weigh opinions on the superhero discussion. Then again, could his family come back into play? If there is hero registration, would his secret safe zone be made public? Guess we’ll have to see what side he falls on first. We’ll know more about this once we see Ant-Man later this year, but we could very well see Ant-Man get a visit from the Avengers in a post credit scene – thus setting him up as an Avengers at the start of Civil War. Though there is also talk that Ant-Man will set up for the conflicts in Civil War – at least from the public perspective – so there’s always a chance that he – or Pym himself – will fall on the Registration side with Stark (like in the comics). In recent years we’ve been getting a couple more references to The Incredible Hulk (2008) film, which despite having Edward Norton as Bruce Banner, is still canonical to the Marvel Cinematic Universe. Well it looks like Bruce was the only one re-casted because William Hurt will be returning as General Ross. We’ve seen him and Tony discuss super-powered people before so he certainly fits in with the themes of Civil War. Although I’m wondering if his return could mean something more. Will the Hulk pop up in this film – every other avengers basically is. Then again, could we eventually see the Red Hulk (Ross’s eventual fate) come to the screen? Either way, we need some more Hulk in our lives, and with a stand-alone Hulk film nowhere in the near future thanks to Universal, this might be the best we can get. When Civil War was first announced, Chadwick Boseman was there as well to be revealed as the upcoming hero named Black Panther. With him on stage with Chris Evans and RDJ, it was a fair assumption that this film would set up for his MCU introduction. Whether Chadwick will appear as T’Challa or in the full Black Panther suit is still unknown; but either way we WILL see this hero make an appearance. Though it’s possible that there might be more than one Black Panther set up in this film when you realize that Martin Freeman has been cast as well for an as-of-yet undisclosed role. It seems like wherever Benedict Cumberbatch goes, Martin Freeman follows: Sherlock, The Hobbit, and now the Marvel Cinematic Universe. Now Martin’s role hasn’t been elaborated on yet, so it’s time for some real detective work. Upon first glance, many of us are probably wishing he plays Doctor Strange’s sidekick/servant Wong. Yes, that would require quite the revamp of the character, who in the comics is the look-alike and descendent of a thousand year old Chinese monk; but admit it: it would be INCREDIBLE to see Freeman back in a Watson-esque role considering Cumberbatch is playing Doctor Strange himself. Though hopes and hilarity aside, we should actually pick a more plausible role. As Jessica Chobot pointed out on Nerdist News, there’s also talk swirling around that Freeman is cast for not just Civil War, but also Black Panther. This could potentially mean that Freeman would be playing Everett Ross, who serves as the US Ambassador to Wakanda. Think about it. The film could very well see T’Challa coming to America for the events of Civil War – since Wakanda usually likes to keep to itself. As the film begins to close, we could see T’Challa return to Wakanda with Everett Ross along for the trip, and thus setting up why he’s in the Black Panther film. Now in case you thought Civil War had enough heroes as it was, hold on because now that Spider-Man is back in the Marvel Studios family – to an extent – he’ll be in this film too. Now chances are he won’t have as large a role here as he did in the comics. For all intents and purposes, he will probably just be a post credits scene; but he will still be a part of this film. So what about the rest of the plans? Well the role is still up for debate and seems to have been narrowed down to a very short list. I wouldn’t be surprised if we got a casting announcement in the next week or so; but when the actor is announced it’ll be something completely different from the usual Spider-Mans. No, not Miles Morales sadly as we first suspected. Though despite it still being Peter Parker, the new Spider-Man will not only be introduced already possessing his powers, but also deal with an ACTUAL High School Peter Parker. Not an older actor pretending to be a High School senior or something, but an actual 15 or so year-old Peter Parker. Now after Spider-Man’s MCU introduction, he will have his own stand-alone films which while still being worked on with Marvel Studios will be Sony’s. It’s all very confusing, but hopefully it works out in the end. As for the plans for the Spider-Man franchise (call them Spider-Plans), there is a desire to make 4 films, each detailing a different year of High School to show Peter Parker’s growth. Well there you have it folks, all the Marvel Studios news that is going on right now. Do you think the Marvel Cinematic Universe idea of ‘It’s All Connected” is getting overburdened? Well they’ve never given us a time to worry yet, so I think we can still trust that Feige knows what he’s doing. So stay tuned here for the Agents of S.H.I.E.L.D. 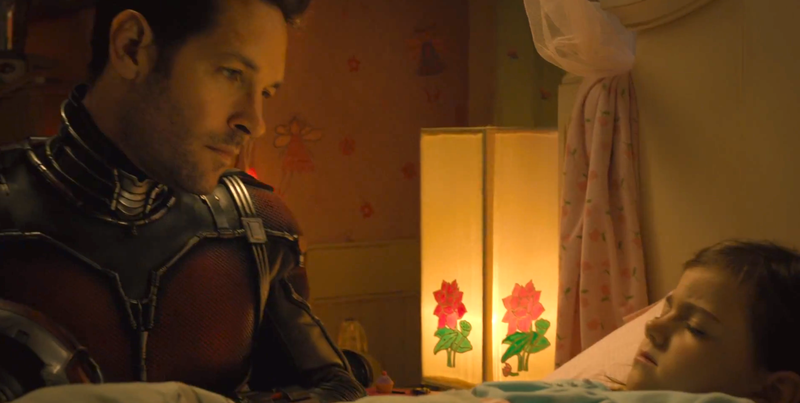 Season 2 Finale, Ant-Man analysis and more Marvel Studios News.